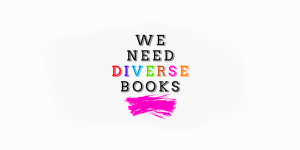 What do we mean when we speak of inclusivity in publishing? From We Need Diverse Books to #StandwithGavin to the Women’s March, scores of American citizens are working hard to have their place in society recognized and represented. For young publishing professionals, this meeting is an opportunity to learn how to make our content more relevant and wide-reaching to all readers. Join YPG for an enlightening brown bag lunch featuring guests Lynn Melnick and Camille Rankine of VIDA as they discuss issues surrounding publishing and inclusivity, and talk about how to have the potentially difficult conversations surrounding these issues. VIDA is a non-profit feminist organization committed to creating transparency around the lack of gender parity in the literary landscape and to amplifying historically marginalized voices, including people of color; writers with disabilities; and queer, trans and gender nonconforming individuals. The VIDA Count highlights gender imbalances in publishing by tallying genre, book reviewers, books reviewed, and journalistic bylines to offer an accurate assessment of the publishing world. Bring your lunch and questions, and we’ll see you on Monday, March 27th at Penguin Random House (1745 Broadway) from 12:30 pm to 1:30 pm.